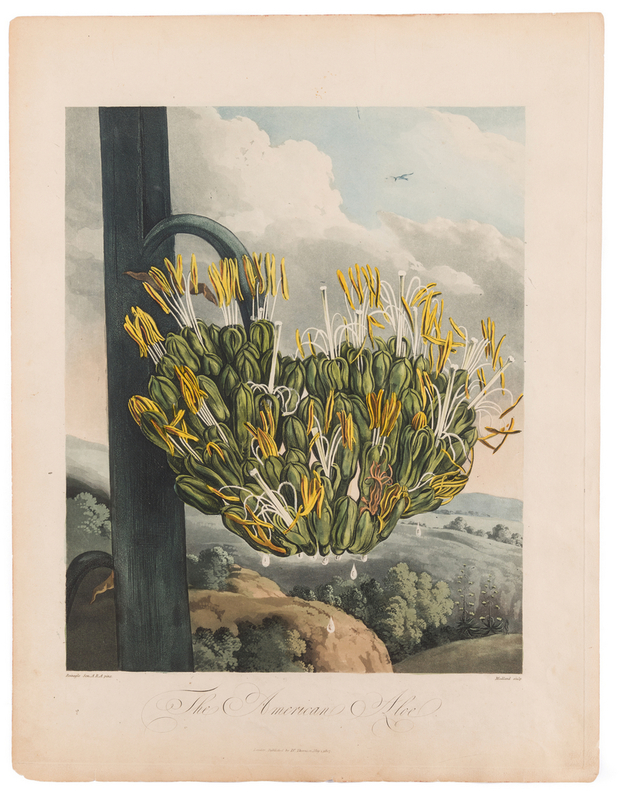 Dr. Robert John Thorton (United Kingdom, 1768-1837) hand-colored aquatint, mezzotint, and stipple engraving titled The American Aloe, painted by Philip Reinagle (1749-1833), engraved by Thomas Medland (c.1765-1833). 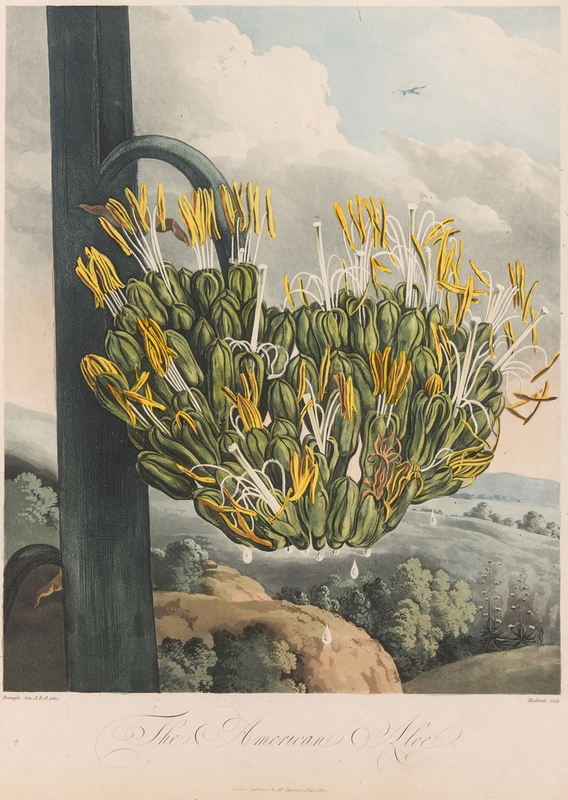 From TEMPLE OF FLORA : OR GARDEN OF THE BOTANIST POET PAINTER AND PHILOSOPHER, published by Thornton, London, 1807 folio edition. Partial watermark reading H. Smith 18…, lower left of sheet. Housed in a white matte. Image 17" H x 13 3/4" W. Sheet 23" H x 17 3/4" W. British, early 19th century. CONDITION: Unframed. Overall good condition with minor toning, edges of sheet, and a few foxing spots, surface of sheet. 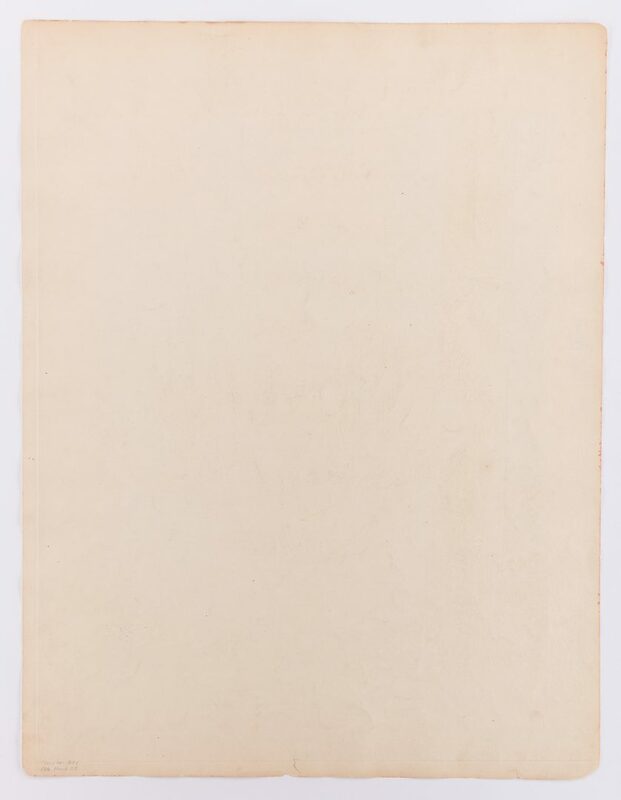 Black scuffs, foxing spots, toning, visible en verso. Partial plate marks remain across right and lower sections of sheet.